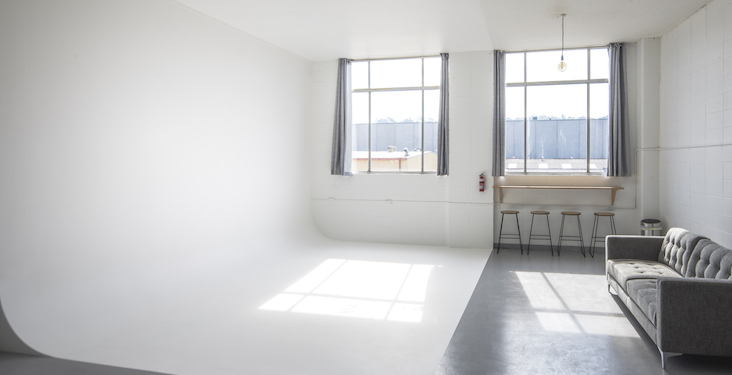 Studio Two is an inspiring multi-functional space designed primarily for stills but just as suitable for production meetings, auditions or motion where critical audio capture isn’t required. It features a 5M wide, 3.6M high floor to wall cyclorama, huge north-facing windows and shared kitchen and bathroom facilities. * All quoted rates exclude GST. Message: *Please list equipment and dates in your enquiry.